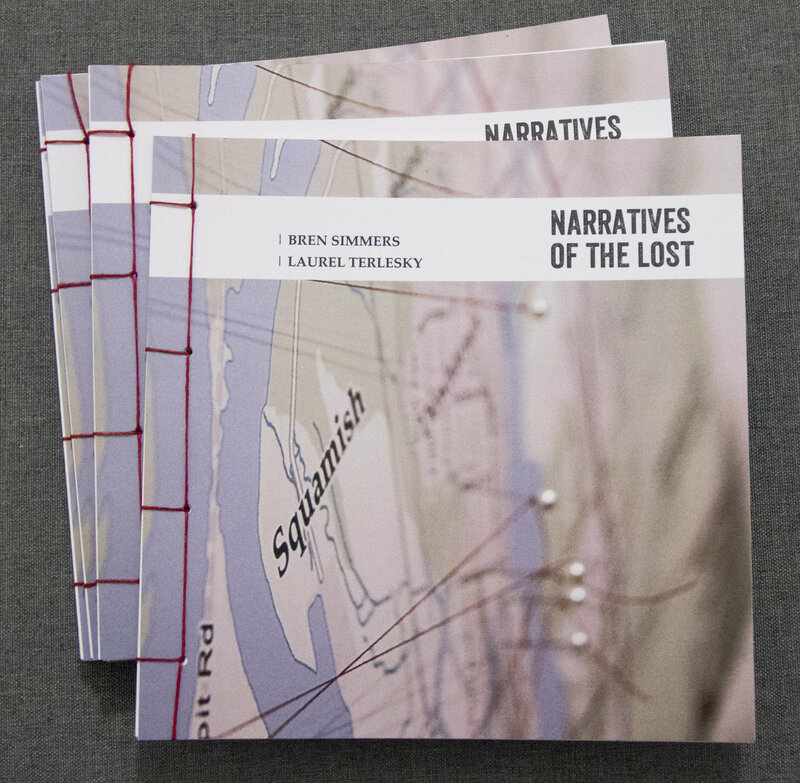 Limited edition Narratives of the Lost chapbook now available! 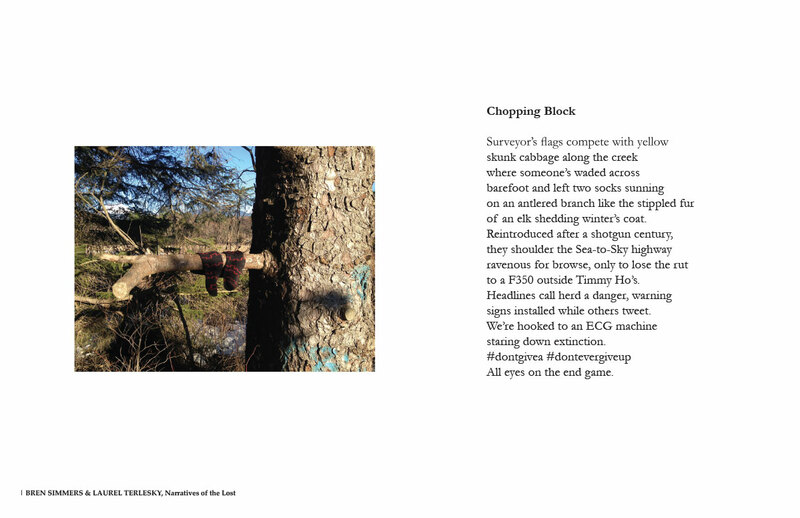 JackPine Press now has our lovely chapbook available for purchase online! These are limited edition – you’ll want to scoop your own copy up before they disappear. We celebrated the chapbook launch in Victoria, B.C. last week. Narratives of the Lost: A poetry and art collaboration between Bren Simmers and Laurel Terlesky. The project began with pictures of lost objects taken on daily walks around Squamish, BC, where both creators lived at the time. They sent each other texts of their finds and responded to these objects with poetry, photography, and drawings. By framing these lost objects as art—gloves placed carefully on branches for their owners to reclaim—they become an entry point into narrative, sparking conversations about connection. Who did these items belong to and how do they reflect Squamish’s changing community identity. The books are digitally printed and hand stitched by the creators. JackPine Press helps people make literary and artistic book works in smaller print-runs so that we can keep it weird, handcrafted, and uniquely made out of fine or found materials. Please show your support – we need to keep initiatives like this going. A limited edition artist print of Chopping Block from Narratives of the Lost is now available. It is 28 x 43 cm (11x 17”) on archival Canson Arches Aquarelle 240gsm (they are gorgeous and will make a beautiful feature in your home). We’re selling them for $65 + tax and shipping. Order online or send me an email if you’d like to order one (or a few!). of an elk shedding winter’s coat. to a F350 outside Timmy Ho’s. warning signs installed while others tweet. All eyes on the end game. Copyright © 2018 Laurel Terlesky, All rights reserved.